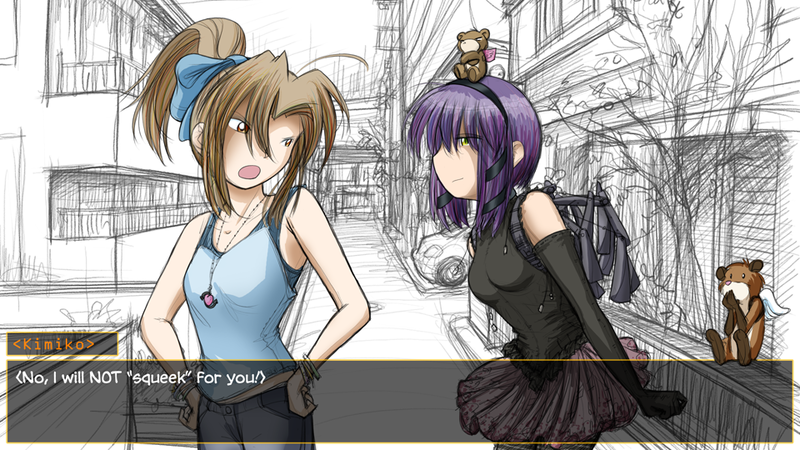 Visual Novel development moved back into gear these past two weeks. We’ve made some good progress. We have mentioned before about how Fred is drawing far more expression and character image changes than is typical in a Visual Novel. 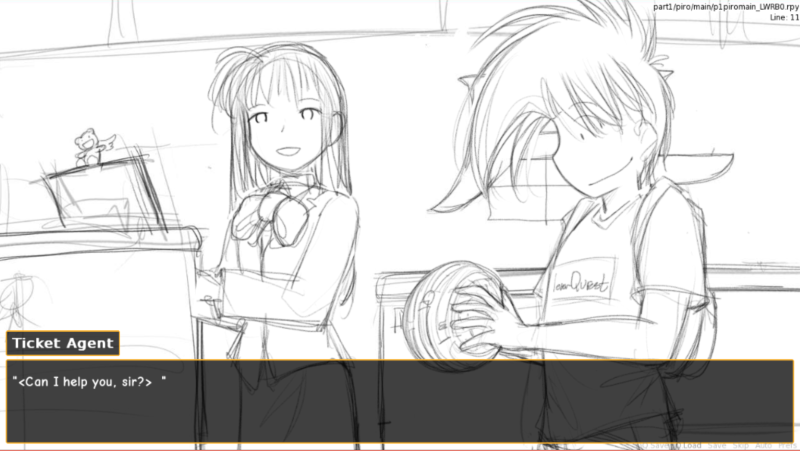 It’s a lot of work, but it fits the needs of the MegaTokyo story much better. In that same vein, Fred has Shad0w and I adding a quick mouth close/open at dialogue advancement points where a speaking character’s image doesn’t otherwise change. It makes it feel a little more natural and less static. 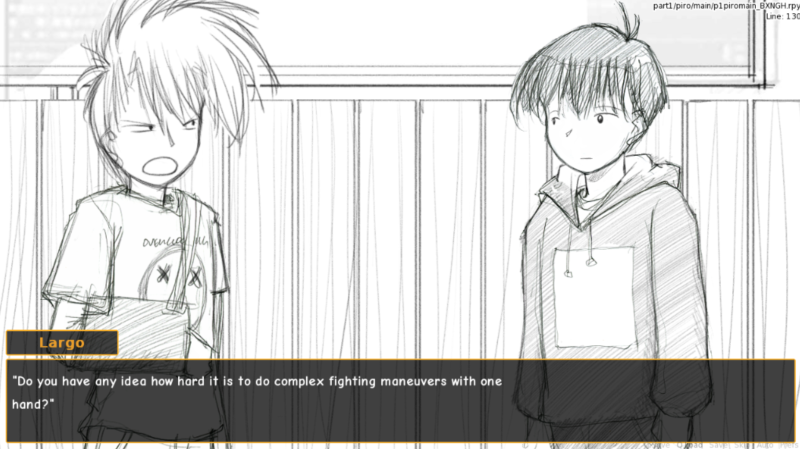 The Visual Novel isn’t the MegaTokyo Anime we’d all like to see, but it’s as close as we are likely to get. DarkMorford has been improving the shopping game for Piro and Largo’s trip to Akihabara. It’s looking good. TheShaggyFreak has been working on the background music and sounds. He’ll be creating as much as he can himself, and using creative commons stuff for the rest. A lot of the work is in just editing things so that the music loops well. Shaggy has been posting some examples in the beta tester section of the VN forum. If you are registered as a beta tester, go check them out. This was a good couple of weeks overall for the VN. If we can manage to sustain this kind of pace, we’ll all feel a lot better and have a finished game that much sooner. This entry was posted in Visual Novel on July 19, 2014 by paarfi.